Learn How To Make Friends With Capricorn! Capricorns are quiet and often humble people who hate boastfulness more than anything else. They like to work, do it quietly and effectively, and want their friends to behave in a similar way. If you want a Capricorn to become one of your friends, offer your help and prove you can cope with the given job effectively.  If a Capricorn person sees that your actions speak louder than your words, he or she will only be glad to offer friendship to you. On the contrary, if those born under the sign realize that you speak more than you actually do they will hardly decide you deserve their trust, their loyalty, and their support. Can you confide in Capricorn? Top long-distance relationship tips for Capricorn.